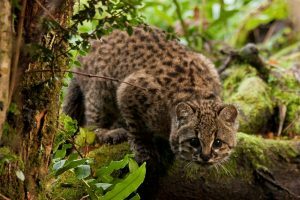 The Kodkod, also called the Chilean Cat, Güiña, or Guigna, is a species of rare feline that is found in a very limited area, amongst the wilderness of South America. 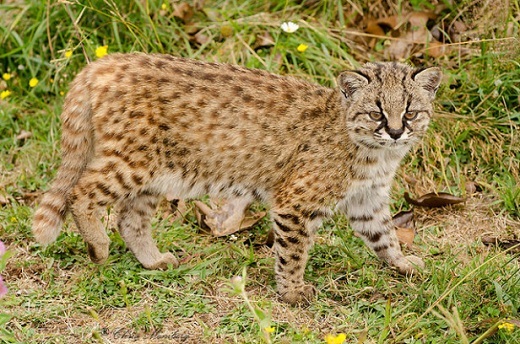 This felid is one of the most interesting and least researched cats in the world. Known for their small, ‘cute’ looks, the population of these small mammals is gradually decreasing especially because of poaching and habitat loss. Size: The head to body length is 39-51 cm, with a height of around 25 cm. Weight: They weigh approximately like the domestic cats with the average weight being 2.1-3 kg. Head: Small and rounded with blurry lines above their eyes, as well as on the cheeks. There is a white area encircling the eyes, while the ears are relatively larger (compared to their face) and rounded. Body: The basic color of the fur/hair/coat varies from light grey and grey-brown to buff or dusky brown, marked with small, round black spots. Black on neck and crown with whitish underparts. Tail: The tail is short, ringed and bushy, with a length of about 19-25 cm that gradually thickens at the black tip.It is approximately only about one-third of its head-body length. Feet: Short legs with large foot pads and black soles. Sexual Dimorphism: There are no visible differences between the sexes in this creature. In the wild, the güiñas can live up to a maximum of 11 years. Kodkods are primarily found in central and southern parts of Chile, as well as along the marginal adjoining areas of Argentina. The cat mostly prefers the moist temperate mixed forests of the Andean and Coastal ranges. In order to survive, they need some cover, such as trees or shrub areas. No subspecies of these cats have yet been classified by the biologists. There is very little information about the behavioral characteristics of the kodkod. The kodkods are very secretive, shy and solitary creatures primarily dwelling in deep forests with dense vegetation. They are seldom seen in clearings, with the males ranging more widely than the females. They are mostly arboreal and seem to climb atop trees while seeking shelter, or a safe place from pursuers. Though they have been seen being active both during day and night, they are more likely to be nocturnal especially in areas populated by humans, and are diurnal in naturally wild regions. The kodkods prey on small rodents like mice and rats, and various other mammals, as well as birds including domestic geese and chickens, insects, as also reptiles, like lizards. Because of their rarity, there is very little information about the mating systems of the guignas. The males of the species occupy large areas that overlap the smaller ranges of several females. 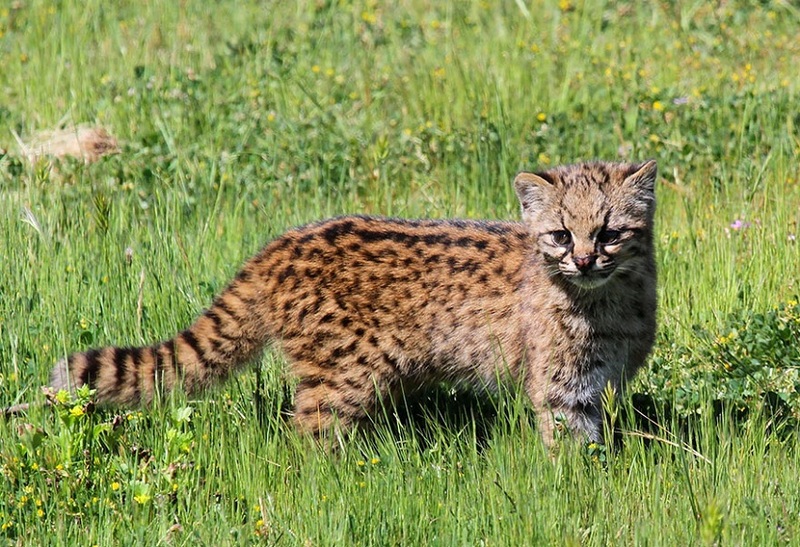 The litter size of the female guignas range between one and four offspring, with a gestation period of 72 to 78 days. There is no report about the mating season and breeding interval. There are also nominal data regarding parental investment in these felines. 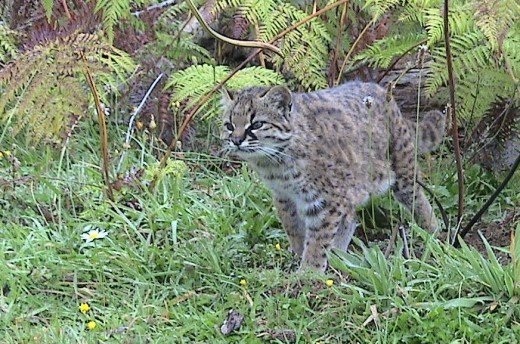 It is thought that, like most other small cat species, the females provide the only parental care during gestation and lactation, as well as extended care for the young juveniles. 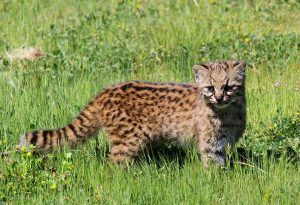 It is also thought that the female teach the baby kodkods the hunting techniques before they become independent and are able to forage for themselves. Both the male and the female kittens attain the age of sexual maturity when they are about two years old. As a behavioral adaptation, guignas are excellent climbers; however, they do not seem to hunt in trees, but rather, as a hunting technique, use branches to pounce on their prey suddenly, and thus, startling them. 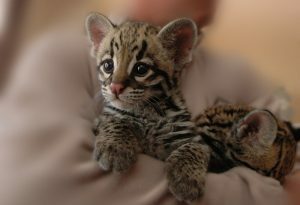 There dull coloration and spotted coat pattern help them camouflage easily in the dense jungles. Their relatively larger ears help them hear even the most indistinct sounds clearly in the quietude of the dense forests. The primary enemies of these wild cats seem to be human poachers that hunt them for their coat, as also, domestic dogs that often kill them when these cats trespass into residential areas for food. 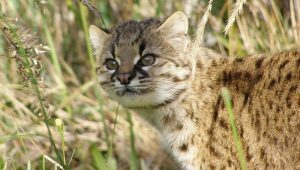 Since 2002, the cat has been listed as ‘VU’ (Vulnerable) by the IUCN 3.2 with a total population of less than 10,000 mature individuals. The current population of the animal is unknown. Researchers have recently found that the local people had a belief that this creature was a vampire, sucking the blood of its prey. Such a belief resulted from the two puncture marks that were often found on the neck of domestic poultry made by the cat’s canine teeth. The melanistic (completely dark) versions of the animal, with spotted black coats, are quite common, which is significantly rare in most other animal species. 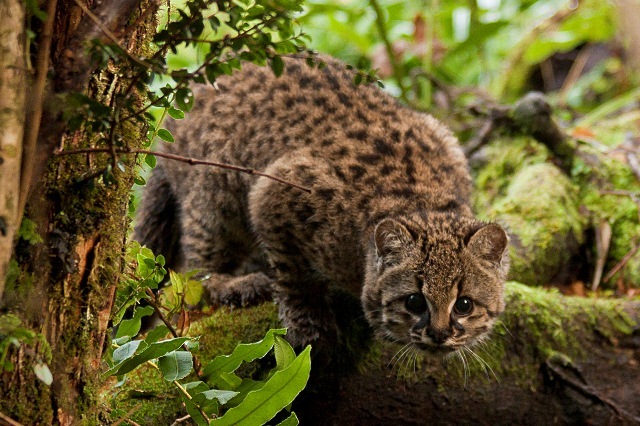 These wild cats have most frequently been located amongst almost dense and impenetrable bamboo bushes. 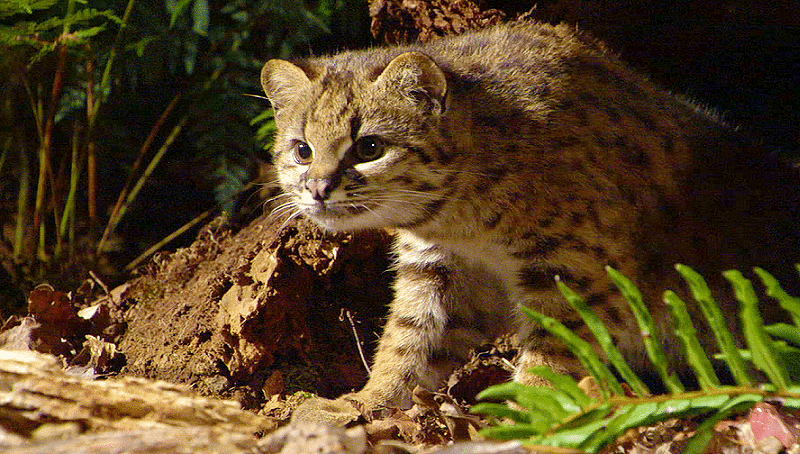 The kodkod is the smallest wild feline in the western hemisphere, and is often claimed by many as the world’s smallest wild cat.